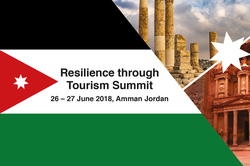 Dr. Abed Al Razzaq Arabiyat is the current Managing Director of the Jordan Tourism Board; the leader in positioning and promoting Jordan as the destination of choice in international markets. Prior to his position at the Jordan Tourism Board, Dr. Arabiyat filled the position of Finance Department Director at the Telecommunications Regulatory Commission as well as previously holding that position and the position of Director of Administrative Affairs at the Commission simultaneously. Preceding that, Dr. Arabiyat worked in several ministerial positions including; Serving in the Financial Department at the Ministry of Planning before moving on to becoming the Head of Auditing as well as Financial Manager at the Ministry of Tourism and Antiquities before moving on to becoming the Financial & Administrative Manager for the Tourism Development Project. Dr. Arabiyat holds a PHD in Finance from the Amman Arab University for Graduate Studies, a Masters degree in Banking and Financial Science from the Arab Academy for Banking and Financial Science and a BA in Public Administration and Political Science from the University of Jordan. Dr. Arabiyat has taught both a financial accounting for hospitality course and a legislations and bylaws course at the Jordan Applied University College in addition to being a Financial Trainer in several subjects with the Arab Academy for financial studies. These subjects include: Credit Portfolio Management, Portfolio Management, Risk Management, and Financial Management.